I'm not usually one for ad reworking. Despite the fact that the message is flipped, the companies name and logo are often still legible and therefore still impressed upon the viewer. I think most people know that the real message in advertisement has nothing to do with the content and more with its simple recognition and therefore these works would be better served by completely annihilating the advertisement. I put this one up to illustrate that point and cause I'm a sucker for perfection and this piece is pulled off flawlessly. 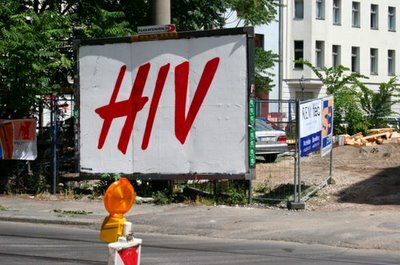 To coincide with the German fashion week in Berlin, XOOOOX liberated two advertising billboards in Berlin.